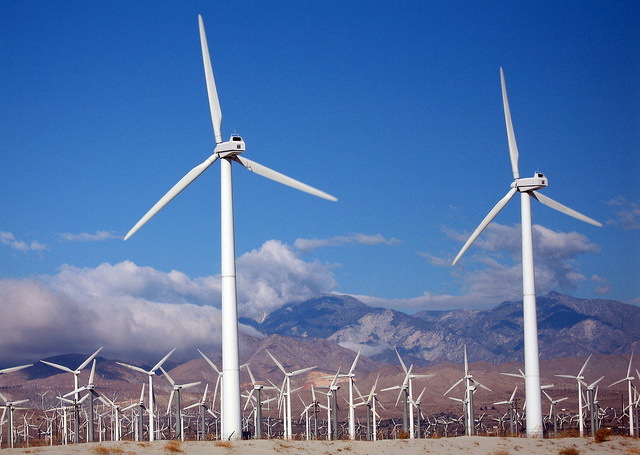 Kinetic or wind energy is a clean and environmentally friendly source of power that is commonly used on a global level. While there are no pollutants or carcinogenic particles released by this natural source of energy there are concerns about its effect on human health. In a 2009 study conducted by the U.S., Canada, U.K. and Denmark, researchers stated that there were no indications that human health was being adversely affected by this type of clean energy. A more recent study conducted in 2012 by the Bavarian Environmental Agency also stated that not only was this type of energy safe, the low level of infrasound generated by the large turbines was not enough to affect anyone’s overall health. Regardless of the findings released by these studies, the debate over the safety of wind turbines is still ongoing. In a 2014 study released by Cochlear Fluids Research Laboratory it was discovered that these powerful wind turbines do emit very low infrasound. These noises are generally too low for human ears to detect, but researchers found that all turbines do omit sound when the wind is blowing. While similar studies have asserted that these low level sounds are not harmful to humans, this latest study pointed out a few flaws in the original research. It seems that not all turbines are the same, and there are several factors to consider when you are factoring the level of infrasound noise. Materials used in construction, along with wind speed, location and the number of turbines in the immediate area can all affect the level of noise. While a small group of wind turbines might not be detrimental to your health, living next to a large number of these power sources might actually be causing damage to your hearing. Even though these low level sounds cannot be heard without special equipment, it can still create problems for your overall health. Tinnitus or ringing in the ears. Temporary feelings of dizziness or light headed. If left untreated some of these symptoms can also result in serious health conditions. Constant high levels of stress and annoyance can lead to higher blood pressure, along with the increased risk of developing heart disease. The sleep deprivation that many people report after being exposed to low level sounds can also cause additional health problems including loss of memory. There are skeptics that question how a noise that cannot be heard can affect human health, and research has previously shown that a part of the human ear is designed to detect these low level sounds. Some studies are suggesting that the constant low level noise can cause the nerves in the ears to become over stimulated. This can result in hearing false noises, which also makes it difficult to fall and stay asleep for long periods of time. Other health problems can also include ears filling with fluid, which often results in feelings of nausea and dizziness. While brief exposures to low level sounds generally only cause a temporary problem, constant infrasound can result in the problem worsening and requiring immediate attention from a health care professional. Hearing noises that are not there and permanent hearing loss, have also been attributed to long term exposure to infrasound. It should be noted that the subject of wind turbines and its effect on human health is still being debated in scientific communities around the world. Studies have been released showing that both sides of this issue are correct in their statements, which leaves the general public wondering if their health is really at risk. What is known about kinetic energy is that it is safe for the environment. There are no pollutants, fossil fuels, or dangerous gases associated with this natural energy source that is also extremely affordable. As for its effect on human health, more conclusive research is needed before any formal findings are released. If you do live near wind turbines and have experienced hearing loss, dizziness, or any of the other symptoms, a health care professional should be consulted. Regardless of whether your symptoms were caused by low level noise or something else, you still do not want to take chances with your hearing and health. Kelly Everson is an American author and having MA in English literature. After spending time as a writer in some of Health Industries best websites, she now works as an independent researcher and contributor for health information related website like Consumer Health Digest. In her spare time, she does research work regarding Beauty and Women Health, Fitness and overall health issues, which acts as a fuel to her passion of writing. When she is not researching or writing, you can find Kelly staying active, whether it be practicing yoga or taking swimming classes.